Although it comes every year, it still hits us unexpectedly and in full force. Summer! Yes it is here, scorching, humid, blindingly sunny and so long. It is just starting and already I want it to end. But it’s a long way from respite, so I will stop dreaming about winter, snap out of this warm daze and share my next recipe. This is one of the instant creations with bits of whatever I had at hand, and it just turned out so well. Although I avoid, cooking chicken liver too often, due to its high cholesterol content, it can be a good treat sometimes. 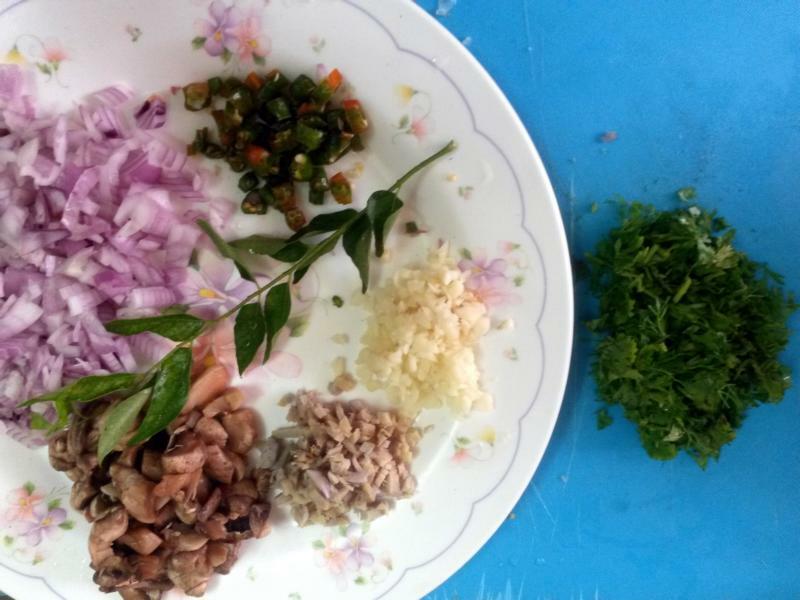 Something I didn’t know before, and stumbled across while doing a random research on this ingredient for this post, is that livers are rich source of various nutrients – iron, zinc and vitamins. Not a complete waste after all! 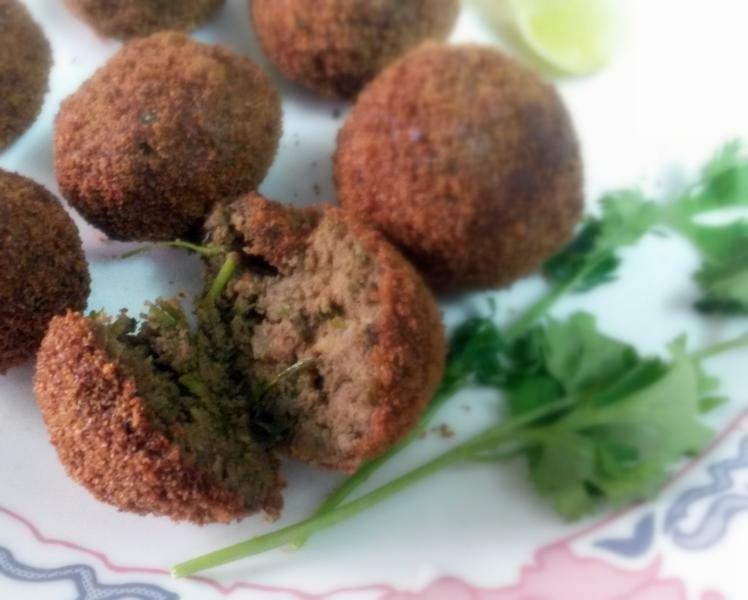 This recipe is very similar to the absolutely delicious beef cutlets which are so popular in Kerala. However, the liver makes it a bit heavier on the palate and tummy, so we usually go easy on these. A great and quick appetizer – since chicken livers barely take any time to cook these can be whipped up in a jiffy and served with some coriander chutney or dipping sauce. 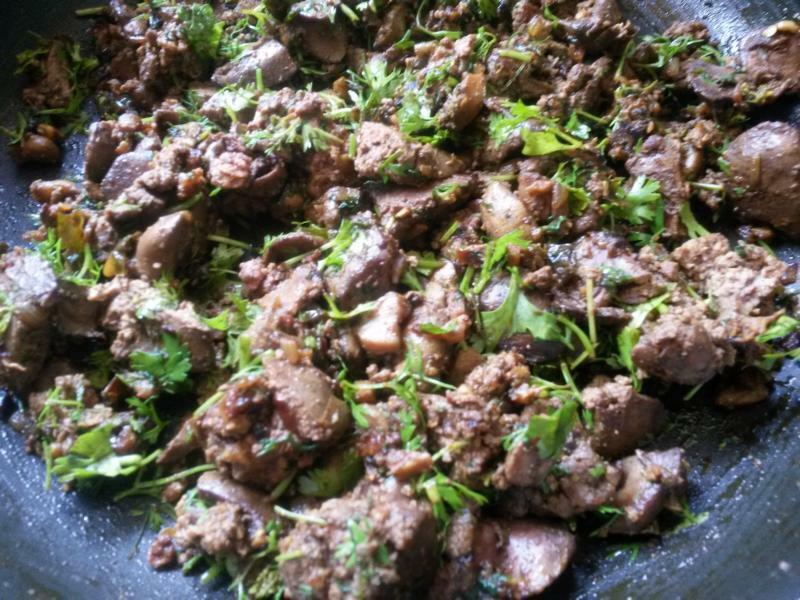 All you need is some spare chicken livers, finely chopped onion, ginger, garlic, green chillies, coriander, mushrooms (this is optional, I had some at hand, so threw it in), and curry leaves. All these except the curry leaves should be finely chopped and sautéed in little oil till golden brown. Then the spice powders – red chili, turmeric, pepper and garam masala are added and fried till you can smell the fragrant roasted spices, about a minute. 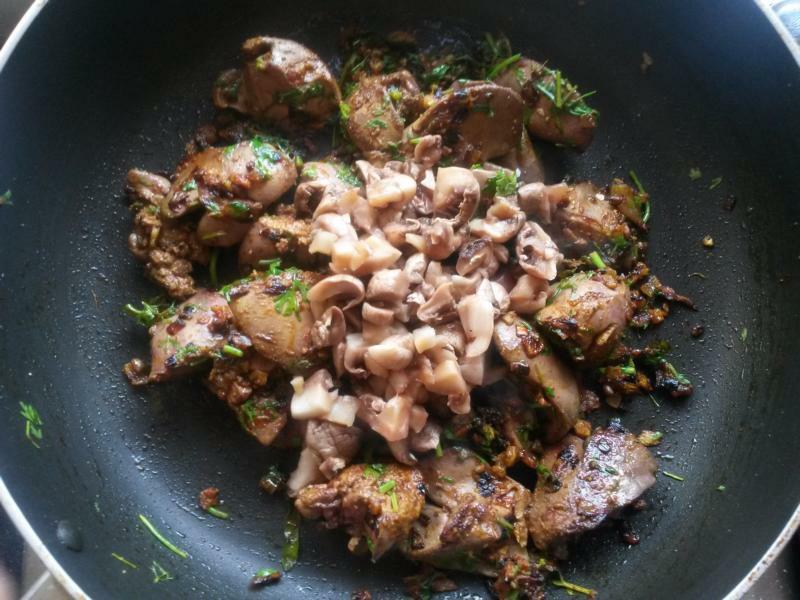 Then add the chicken livers and the mushrooms, sprinkle some water and cook till the water has evaporated and the liver is soft and breaks easily. Grind the mixture until no lumps remain. Be careful to NOT overgrind it into a very fine paste. Add the boiled and mashed potatoes, mix well until well combined and keep aside. Beat the egg whites. Divide the liver and potato mixture into equal portions and roll them into round balls like meatballs. 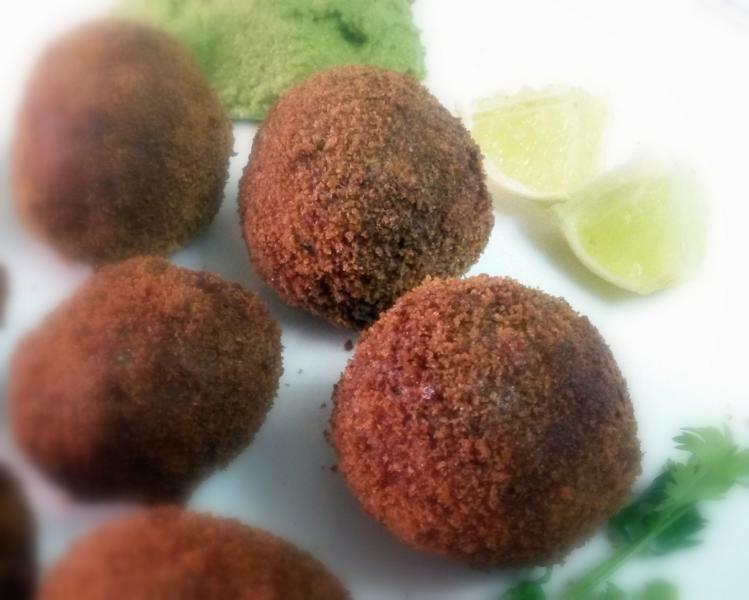 Dip the liverballs in the egg mixture and coat with breadcrumbs. Prepare some and keep ready, so you can fry them easily in batches. Deep fry on medium flame till brown on all sides. 2 medium Potato – boiled and mashed. 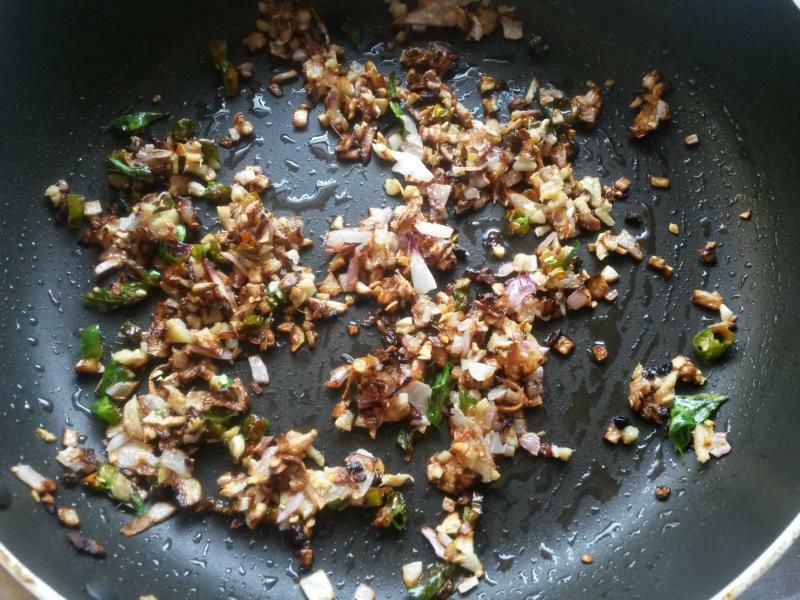 Heat around 3-4 tblsp oil in a shallow non-stick pan; add onions, ginger, garlic, green chillies and curry leaves. Fry till almost golden brown. Add chilli powder, turmeric, pepper and garam masala, sauté for a minute. Add the mushrooms at this point followed by the chicken liver and salt to taste. Sprinkle some water and cook till the water has evaporated and the liver is cooked. Sprinkle the coriander leaves and let it to cool completely. Grind the mixture until no lumps remain. But be careful to NOT overgrind it into a very fine paste. Add the mashed potatoes to the ground mixture, mix well until well combined and keep aside. Beat the egg whites. 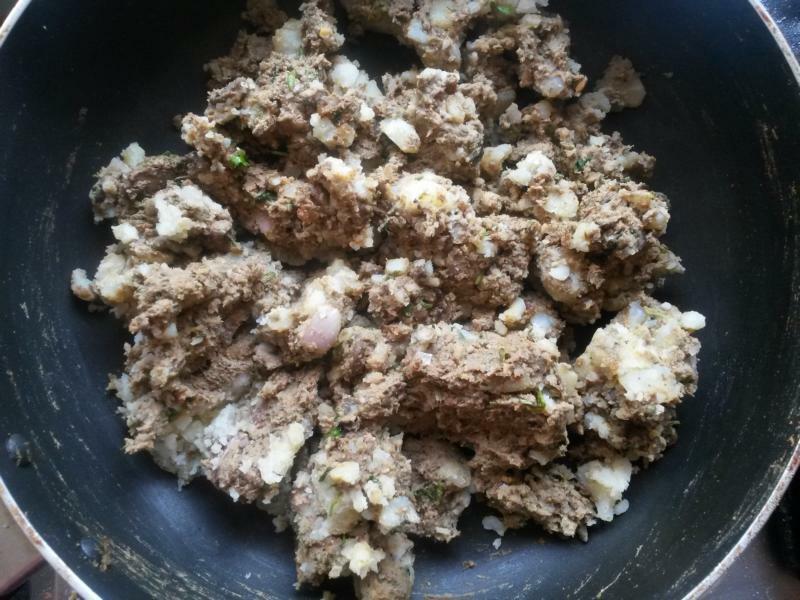 Divide the liver and potato mixture into equal portions and roll them into round balls like meatballs. 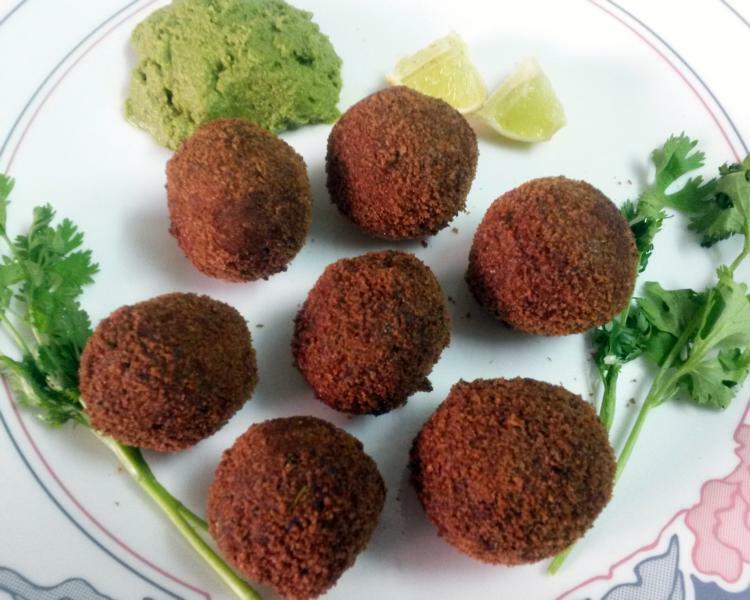 Dip the liverballs in the egg mixture and coat with breadcrumbs and deep fry till almost golden brown. Serve hot with coriander chutney or tomato chilli sauce. Mmm I have never made chicken liver meatballs. Do they taste very nice or are they very soft. Thanks for teaching me a new twist to chicken liver! Thanks Liz.The meat balls are slightly heavy on the tummy but its taste is some what similar to beef cutlets.I just experimented with chicken liver but it turned out well. 🙂 Happy cooking!! ummm! Looks yummy. 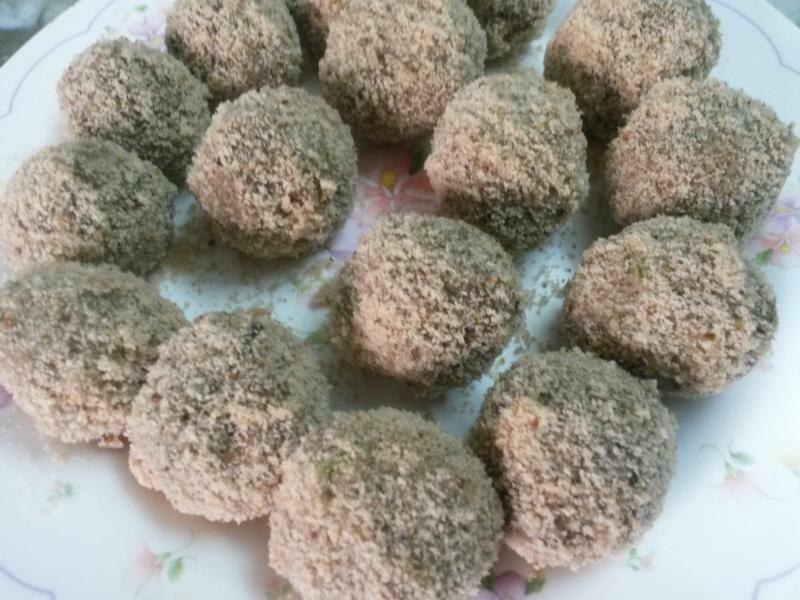 Never tried chicken liver meatballs. Will definitely try.